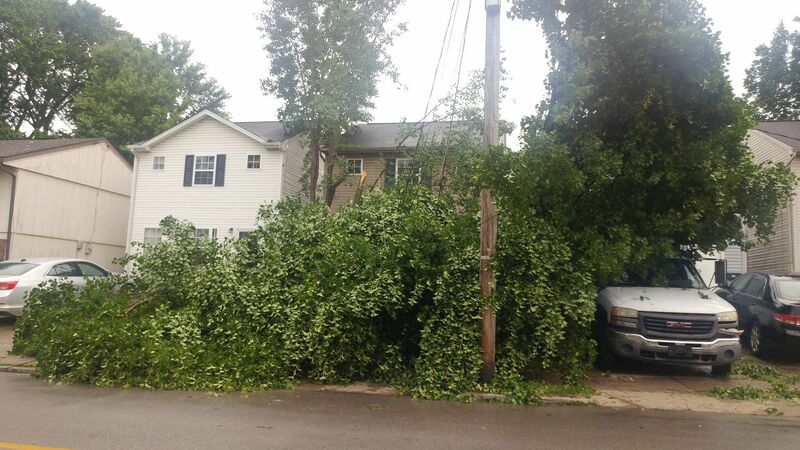 A severe thunderstorm rolled through Northern Kentucky on Thursday afternoon, hitting Covington's Latonia neighborhood particularly hard. 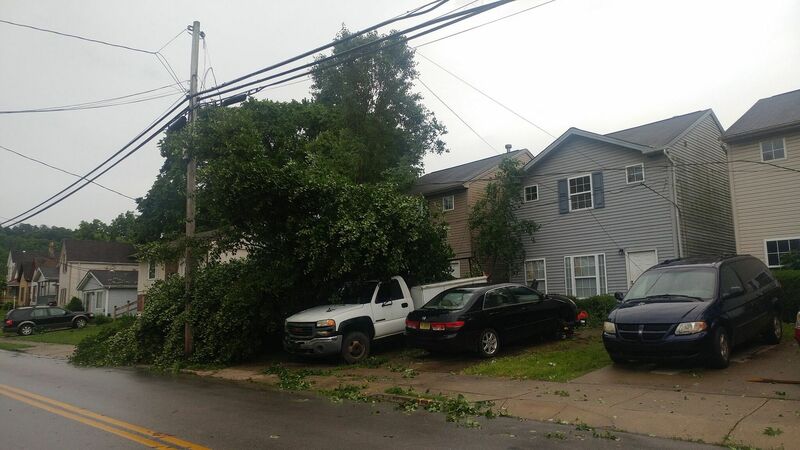 Many of the streets in Latonia were littered with tree limbs, branches, and leaves, but some streets saw worse damage. 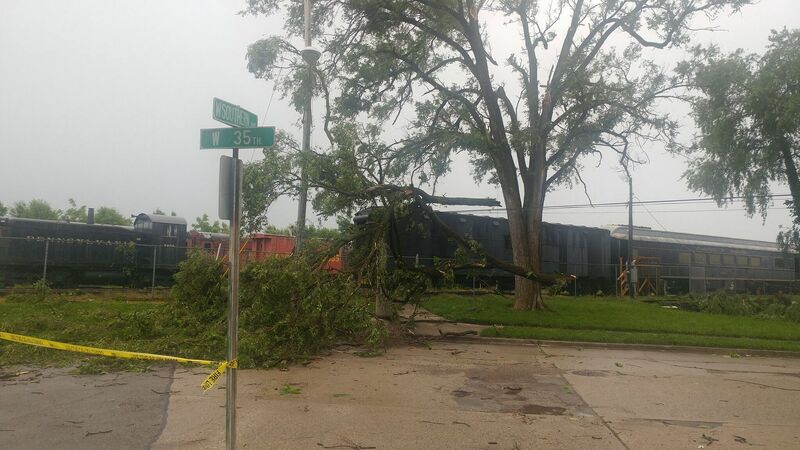 Power was lost in some parts as trees fell on wires, and at least one street was completely blocked by a fallen tree. "The wind was whipping. 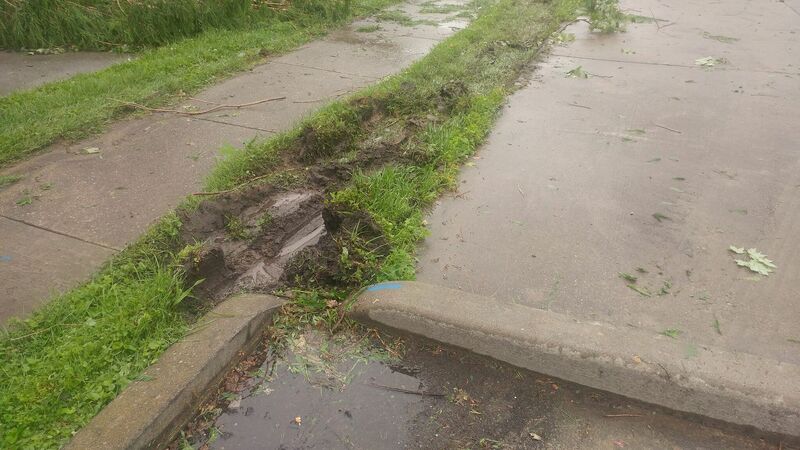 I thought we were in a tornado," said one woman on the 3900 block of Decourse Avenue, where a tree fell and blocked the street. A man on the same block said the noise from the storm was not bad - it just sounded like heavy wind - but witnessed a semi truck that was headed north on the street attempt to bypass the fallen tree by traveling through a nearby church's parking lot, damaging part of the lawn, and ultimately being pulled over and cited by Covington Police. 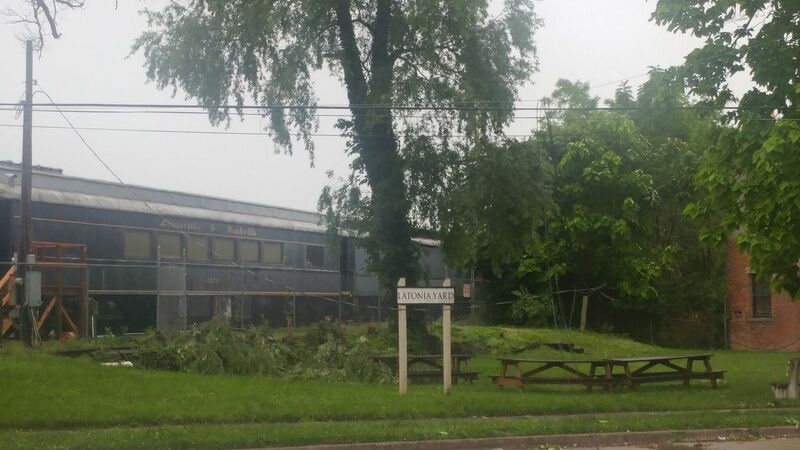 Southern Avenue, near the Greater Cincinnati Railway Museum, was also closed due to broken trees and downed power lines. 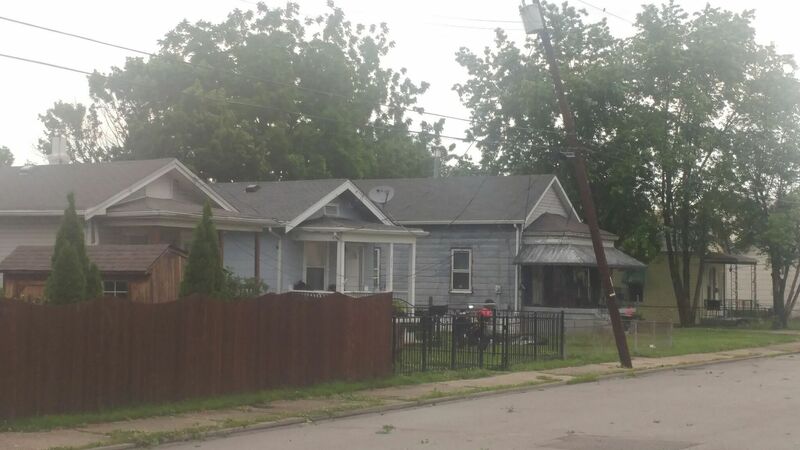 Nearby, a utility pole leaned towards a residence after being blown over by the wind. The Covington Fire Department was overloaded with calls, one firefigher said.